While we all love to deck the halls of our holiday home on the interiors, don’t forget to spread festive cheer to the exterior of your home too. 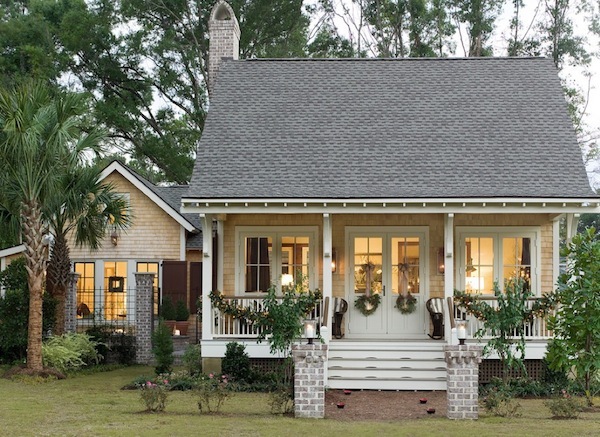 Depending on how much you love to decorate, the sky is the limit to adding lights, greenery, color and more festive decor to your outdoor home. 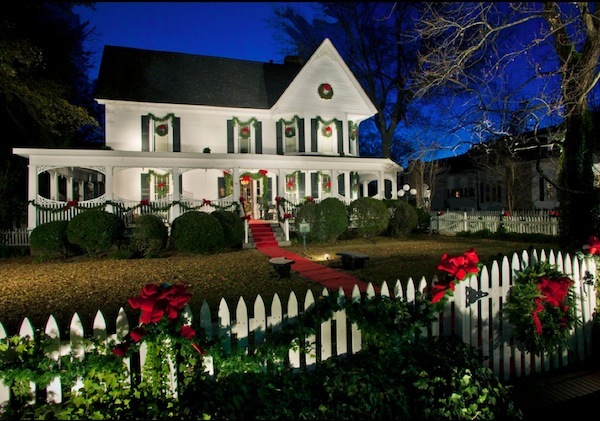 Whether you like to entertain outdoors, or you like to make your outdoor home feel welcome, here are ideas to brighten up any boring exterior home for the holidays. Every home has unique surroundings that make it beautiful and festive. Depending on the landscaping, views, and climate can dictate what type of holiday ornamentation to add. 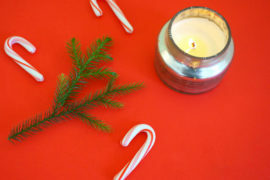 Homes that have evergreen trees and green foliage may benefit from evergreen garland, wreaths and greenery gathered with ribbons and lights along your fences, doors, and windows. 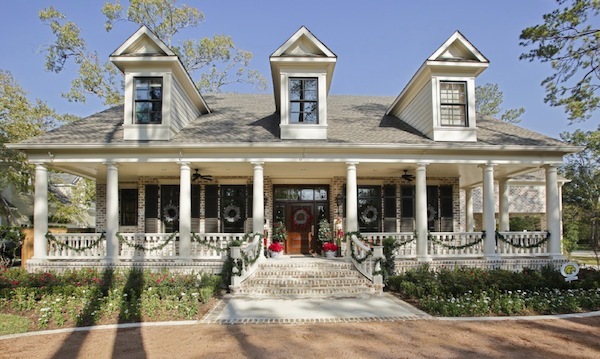 Swag garland hung around your front door, and along railings and front entry stair banisters can unite your natural surroundings and bring out holiday traditions that date back generations of family decorating their exterior homes. While we all love to decorate our outdoor home as we see fit, there is a difference between standing out for pleasant aesthetics and not! 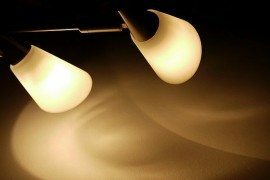 Add lights that will enhance the architecture of your home and not detract from it. 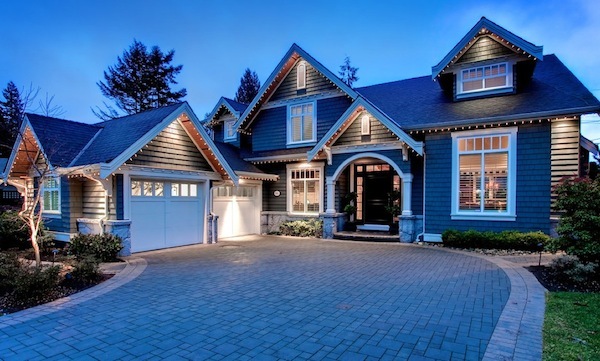 Landscape lighting and up lighting on architectural features such as roof eaves, and columns can show off decorations beautifully. Remember, outdoor decor should be admired in the day and the evening hours. 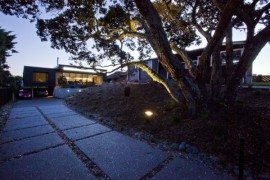 Consider using LED outdoor string lights to conserve electricity and still bring brightness to your exterior features. Depending on your climate the holidays are the perfect time to entertain friends, family and guests in your outdoor home. Whether sitting around an outdoor fireplace decorated with festive red or white poinsettias or decorating your outdoor dining table with colorful candles, table linen and winter colors can be beautiful. 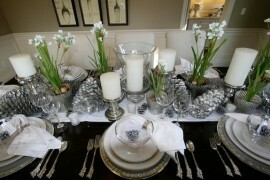 Look to your immediate surroundings for natural decor to add to the centerpiece for a natural touch. Organic winter fruits such as cranberries and pomegranates look like a holiday focal point amongst pine cones, and candles in hurricane vases. Be original and use textiles from your indoor home to liven up any patio or outdoor dining area. At night bring out lanterns, string lights around trees and invest in outdoor space heaters or fire pits to keep the holiday gathering lingering into the night. 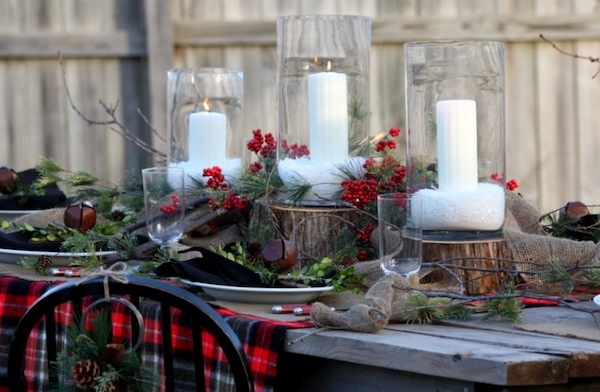 Holiday entertaining and outdoor decorating is perfect this time of year! 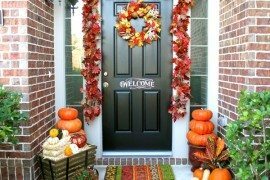 Set the scene for holiday fun and a welcoming outdoor home with these inspiring ideas to bring color, light and festive touches to the exterior of your home. Can’t think of ideas? Look to your neighbors or local outdoor venues such as public gardens and areas where your local community gather and decorate with greenery and decorative holiday elements. 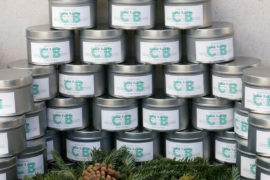 They may help you remember that the holidays are for celebrating our loved ones and family and the outdoors are just one more place to represent these festive traditions at your outdoor home.